The Story: Indiewalls collaborated with the BKV Group to develop an artwork package for Eleven40 that incorporates colorful geometric prints alongside locally inspired images. 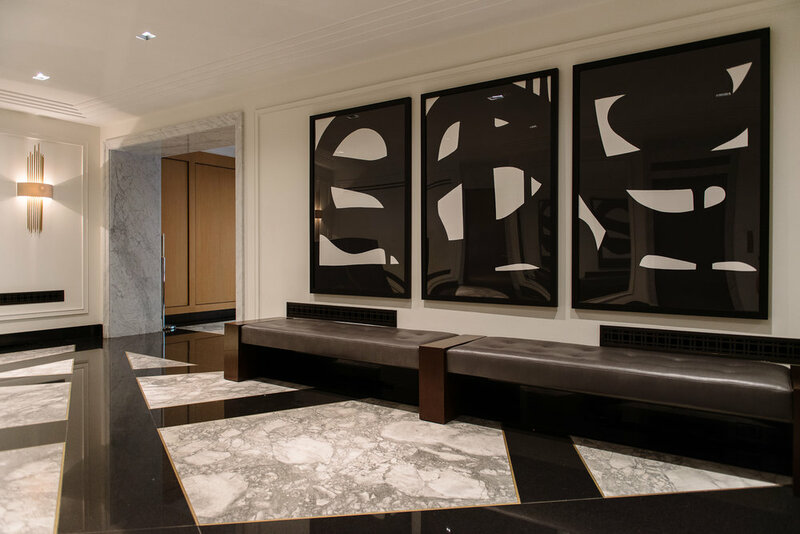 For the building’s "Jam Room” amenity space, we sourced black and white photography of legendary Chicago musicians and music venues, paired alongside paintings of other influential performers. Additional areas feature Chicago-oriented artworks that highlight specific local landmarks, including a piece memorializing acclaimed artist Hebru Brantley’s “Chi Boy” mural, which once stood nearby the property site.